The work presents an approach for anomaly detection in network traffic based on nonlinear dynamics techniques. The main attention is paid to nonlinear-dynamical models of telecommunication traffic in the distributed network subsystems of railway intelligent control systems. In the considered system, telecommunication traffic is presented in time series form. The time series is used as the basis for reconstructed nonlinear dynamic system with chaotic behavior. The calculation algorithms for embedding dimension, correlation dimension and spectrum of Lyapunov exponents are given. The computational implementations for assessment of dynamical characteristics reconstructed from noisy time series of network traffic are presented. Anomaly detection algorithm based on Lyapunov exponents calculation is presented for nonlinear system generating network traffic. The work was supported Grant No. 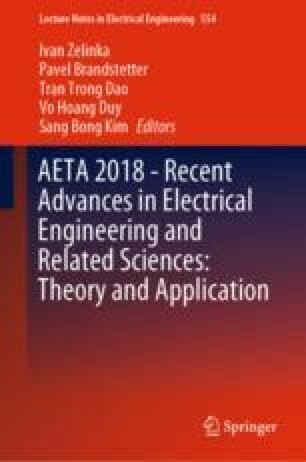 SP2018/163 “Diagnostics, reliability and efficiency of electrical machines and devices, problems of antenna systems” and by Russian Foundation for Basic Research (Grants No. 16-07-00888-a, 18-08-00549-a, 17-20-01040 ofi_m_RZD, No. 16-07-00032-a and No. 16-07-00086-a).